The RuPaul’s Drag Race Fan Group is a Facebook community, led by drag queen Jenn D’Role (and the help of the admin team), that gives people a place to share in the creativity, self-love and self-exploration that drag (and especially Drag Race) provides. In the group, more than 70,000 members from across the globe discuss their love for Drag Race, with people who are equally passionate. In a Hornet exclusive, D’Role revealed her seven All Stars predictions for season 3, which begins Jan. 25, 2018 on VH1. Trixie Mattel is definitely on everyone’s mind this season in terms of popularity and relevance. She has evolved so much since her season and really shown a different side of her we hadn’t seen before. For example, her show with Katya has blown up — and it is so funny! I think she’s the “Alaska” this time around. She has had the most success and people definitely feel like she’s going to take it all the way. I don’t think anyone is expecting very much of Shangela. She’s coming from two different seasons where she was eliminated both times and didn’t make it to the top. She may surprise us; she’s had all of this time to brush up on her skills and Ru doesn’t just bring back anyone. People are also hesitant about Morgan McMichaels, since it has been so long since her season. But that’s all the more reason for her to have elevated her drag and really prove herself this time around. Usually when there is a surprise queen introduced, it is in the beginning of the season. I think it would be crazy for the queens to get to the top 3 and have a mystery queen thrown in. Having a bonus queen appear in the middle or end of the season would be crazy! I’ve heard the surprise queen could be Darienne Lake, Willam or even Bebe Zahara Benet — the winner of the first season. 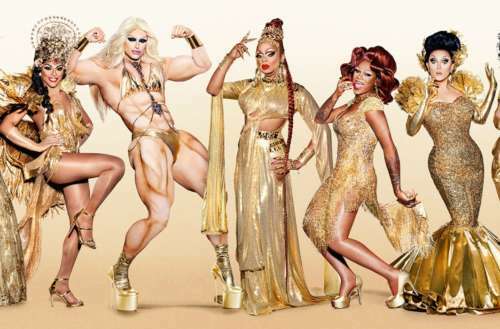 Even though Bebe already won, this would be an amazing opportunity to showcase the importance of season 1 and the platform it has how given hundreds of other girls. Let’s also not forget that during the All Stars season 2 reunion, Adore said she would come back if asked — so anything is possible. Although I would hate to see either queen eliminate the other, the ultimate lip sync battle would be Chi Chi Devayne and Kennedy Davenport. Chi Chi is very versatile and is able to slay any lip sync that comes her way, while Kennedy is so polished and such a professional that she brings her A-game every time. I would also love to see another “Future of Drag” challenge. Last year when Alaska hit the runway in her look, the girls gagged. Everyone took the “future” aspect so literally but Alaska really took it to the next level. That is what every queen will have to do this season, give us something we haven’t seen yet. Cher! It would be amazing to finally see Cher come in and give her insight. The woman is an icon and still performs to this day! We’ve see her son and mom both do the show, so I’m hoping we finally get to see the legend herself this time around. 7. Who will win it all? I’m rooting for Chi Chi this season! She has such an authentic persona and she’s incredibly relatable to someone like me. In her season she was resourceful, she was honest about wearing trash bags and not having as much money to spend on outfits like the other queens did. I come from humble beginnings myself and I relate to her so much. Now that she has more experience, I’m excited to see what she has to offer this time around. It’s definitely going to be a wild season! Check out and join the RuPaul’s Drag Race Fan Group to dish more about Drag Race and join other fans as they react to this season’s herstoric competition.